It only takes a second to change a life forever. Burns and scalds are the third leading cause of injury-related hospital admission for children under 5 years of age in Canada. These injuries are often serious when they happen, yet the majority of cases are completely preventable. 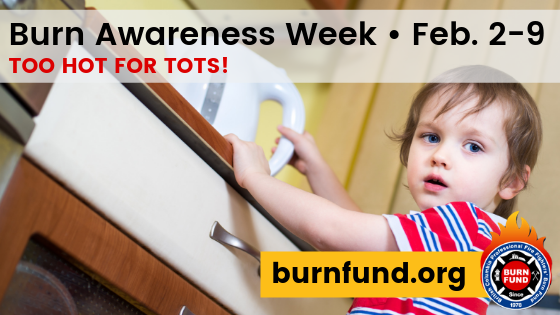 In this year’s Burn Awareness Week, the Too Hot for Tots! 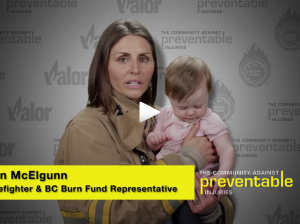 campaign aims to educate parents and caregivers about burn and scald hazards in the home and how they can be mitigated. ✓ 1,000 children are admitted to hospital each year with burns and scalds, while thousands more are treated as outpatients. 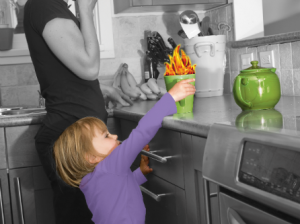 ✓ 70% of Canadian parents don’t know that scalds from hot drinks and hot tap water are the most common causes of burns in young children – not fire. ✓ 90% of injuries are predictable and preventable! 1. Scalds from hot drinks: Children can suffer serious scalds in just one second at temperatures above 60°C – a typical temperature for a cup of coffee. A hot beverage, left unsupervised and within reach, can cause a serious scald to a child. “Got a kid, use a lid.” Choosing a travel mug will ensure that only a small amount of liquid will spill on the child if the mug is knocked over. 2. Hot tap water: A child’s skin burns in a quarter of the time it takes for an adult’s skin to burn. Injuries from hot tap water often happen when children are left unsupervised in the bathtub or bathroom. 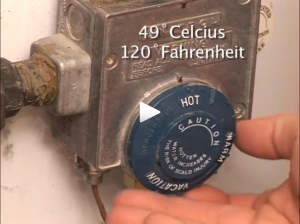 Most hot water tanks are set to 60°C, which can seriously scald a child in just one second. If the water is turned down to 49°C (the minimum temperature required to kill bacteria in the tank), it would take 10 minutes to cause the same scald. 3. 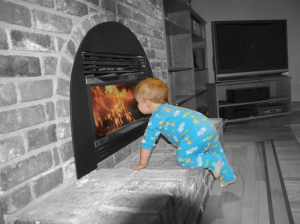 Hot surfaces: Over the last 20 years, there has been a 20-fold increase in the number of children who have sustained deep burns from touching the glass of gas fireplaces. 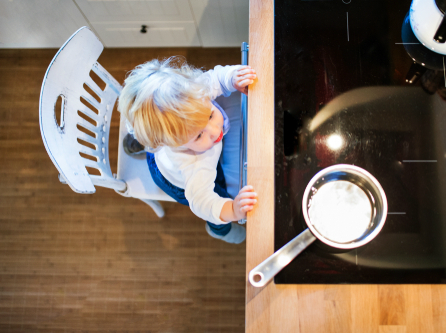 Caregivers should also be vigilant and supervise children around the stove, oven, irons, radiators, baseboard heaters, and other hot surfaces. Why do these injuries happen? 1. Aren’t aware of the burn hazards in their home: Children have thinner skin than adults, so they are more susceptible to burns and at a lower temperature. Caregivers may not realize that a hot cup of tea, which they can comfortably drink, has the potential to seriously scald a child. 2. Don’t modify the home or change their daily routine: For example, they may use a ceramic mug instead of a travel mug and aren’t consciously thinking about where they put their coffee because they don’t realize hot drinks are a significant burn hazard. 3. Don’t accurately estimate their children’s ability: Children can move quickly and caregivers may be caught off guard by how little time it takes for them to get to a potential burn hazard. Come visit the Burn Awareness Table to learn more about how to prevent burn injuries in the home and enter a draw to win a great prize. February 8 at 1 p.m.: Firefighters will be giving a burn safety presentation on the 7th floor in the school room. The prize draw will be held at 2:30 p.m. in the 6th floor playroom.